Chronic Obstructive Pulmonary Disease or COPD is a kind of lung disease due to which a patient finds it hard to breathe. The major cause of COPD is smoking. COPD is a mix of two types of lung problems, i.e. Chronic bronchitis and Emphysema. With regular exercises, COPD can be controlled or prevented to a great extent. How can exercises for COPD treatment help you? It helps in making the body use oxygen efficiently as people with COPD use more energy to breathe than other people do. How to do deep breathing? Get into a comfortable position(take support if required). Relax your arms, shoulders, and hands. Breathe out through your nose and mouth. Feel relaxed and calm while breathing out. 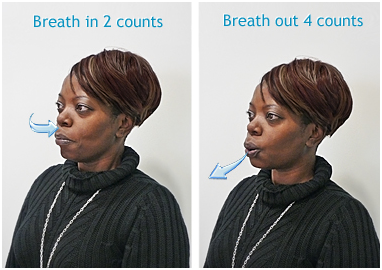 How to do pursed-lip breathing? Breathe in for 2 seconds through the nose, keeping your mouth closed. Breathe out for 4 seconds through pursed lips. Whenever you do physical activity and feel short of breath, breathe out. Whenever you do some tough physical labour, relax your body and take a deep breath from your nose and blow it out from your mouth. Lie on your back with knees bent on the pillow for support. Place one hand on your belly below your rib cage. Place the other hand on your chest. Inhale deeply through your nose for a count of three. Your belly and lower ribs should rise, but your chest should remain still. Tighten your stomach muscles and exhale for a count of six through slightly puckered lips. 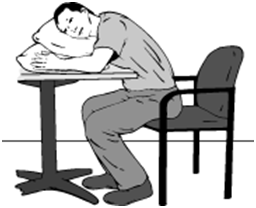 How to relax in a sitting position? Bend your chest slightly forward. Rest your elbows on your knees or rest your chin on your hands. Rest your head on your forearms or pillows. Rest your arms on a table. 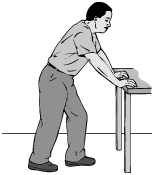 Rest your elbows or hands on a piece on furniture, just below the shoulder height. 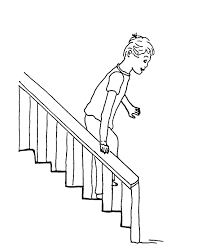 Hold the handrail to get support and climb easily. Place your whole foot flat on each step. Breathe out with pursed lips while taking the next step. 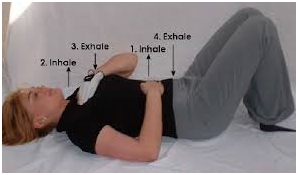 Go up two steps with each exhalation. Breathe in before the next step. Hold the handrail for balance. Place each foot flat on the step. Count the number of steps you take while breathing in. Take twice as many steps while breathing out. Lie on your back with your head elevated and your knees bent, with a pillow under your knees. Tighten up the stomach and chest muscles with your mouth open. 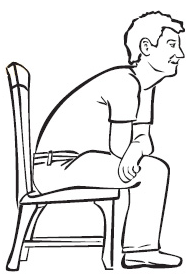 Sit on a chair with feet flat on the floor, &leanyour body slightly forward. Use your inhalers properly and regularly. Do lose weight if you are overweight. Do put on weight if you are underweight. Arrange the things that you use every day at easy reach. Take rest when you get breathless, and then start again. If your breath gets fast or shallow, then stop and relax your body. Do not exercise if your COPD symptoms get worse. Do not bend down by wearing slip-on shoes or using long-handled tools in the garden. Do not take hot or cold showers immediately after exercising. Do not do heavy lifting or pushing. Do not do chores such as shovelling or mowing. Avoid pushups, sit-ups, or isometric exercises. Do not walk up steep hills. 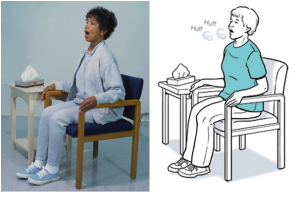 Note –The images for COPD exercises are not easily available on the internet, so we would suggest getting the vectors designed. We have added pictures for references, though these are not of high-quality resolution.